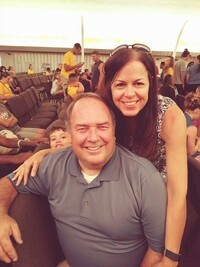 Pastor Mark was born September 9, 1956 in Franklin, Louisiana. He was saved at the age of fifteen. During his high school senior year he surrendered his life to ministry. He attended Louisiana College, in Pineville LA. and graduated with a Bachelors Degree in Religious Education. He also attended Louisiana Missionary Baptist Institute and Seminary and earned his Bachelors of Theology Degree. He has served the Lord's churches in different capacities, as Music and Youth Director, Assistant Pastor, and as Pastor. He has a passion for the Word of God and cares for people. He also attended Carpentry and Millwright Apprenticeship School and is a journeyman carpenter. He uses his skills whenever he can to help the Lord's churches and missions as well as individuals who have construction needs. He married Wanda Jones in 1979 and they have two grown children; Stephen Smith and Jennifer Smith Forrest. Pastor Mark and Mrs. Wanda have three grandsons: Peyton, Hayden, and Maddox. Pastor Mark's hobbies include, artistic painting, woodworking, cooking, barbeque, guitar, and writing.